Understanding emotions can be pretty tricky for children, so a toy that can help them make sense of it all is one every child can benefit from. Shusha have created the perfect toy which helps to educate, entertain, explore emotions. 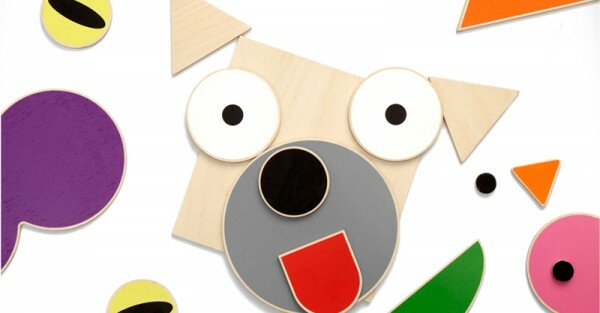 Shusha toys are created by a team with backgrounds in graphic design and architecture. These wooden toys are designed to be fun while helping develop motor skills, logic and a child’s imagination. Shusha’s Make a Portrait lets your little one create endless characters and personalities. Exploring different emotions and nationalities with 48 face parts from hair to mustaches and glasses. There is a face base and all parts are double sided to extend the creative possibilities. Of course we can’t forget our furry friends and neither have Shusha. The Animal World lets children create different animals from 28 colourful shapes. This toy helps your kid learn all about the features of different animals while encouraging their creative side. Shusha puzzle sets are made in Russia from birch wood and designed with bright, vibrant colours that are sure to catch your child’s eye. Each set comes with its own drawstring bag making for a neat pack away and prevent you from losing any pieces. To find out more about these fabulous sets and where you can order yours contact Shusha directly.